Global equity markets have started the week with a cautious tone despite some positive developments and some stability for oil and gold prices. 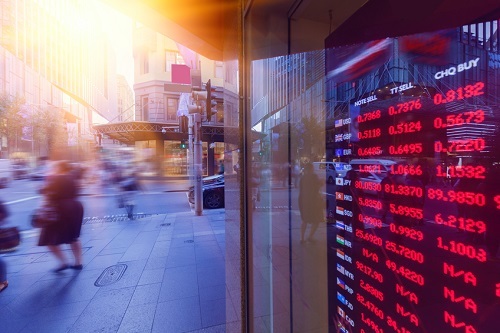 Asian markets closed mostly lower with Sydney bucking the trend after Australia’s federal budget update meant the country’s AAA credit rating from S&P stands, for now. There was also better-than-expected news from Japan’s exporters with a decline of 0.4 per cent far lower than the 2 per cent predicted. European indexes are trending fairly flat although Frankfurt is doing better following a stronger reading of German business sentiment. Apple is appealing its heavy penalty from the EU over its tax relationship with Ireland. Wall Street and Toronto are expected to open higher. US services and composite PMI figures are due. Barclays Bank is to inform 7,000 customers that they need to improve their trading levels with the bank or go elsewhere. The bank wants to boost its revenue per customer and retain only those that generate higher returns, according to Bloomberg. Spokesman Kashif Zafar told Bloomberg that Barclays wants at least a 10 per cent return from every customer.